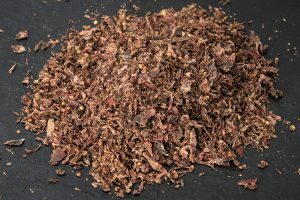 Sliced Biltong is simply made by thinly slicing whole sticks (pieces) of ready air dried biltong. Our carefully selected Smoked Chipotle spice blend is then added to achieve this wonderful spicy smoky flavour. 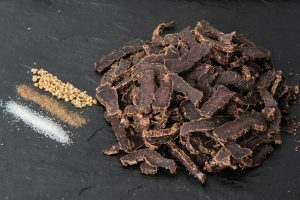 Due to the fact our biltong is so lean it takes a huge 260g of our freshly marinated topside beef to make 100g of our Sliced Biltong. We also boast a huge 52g of protein per 100g portion! 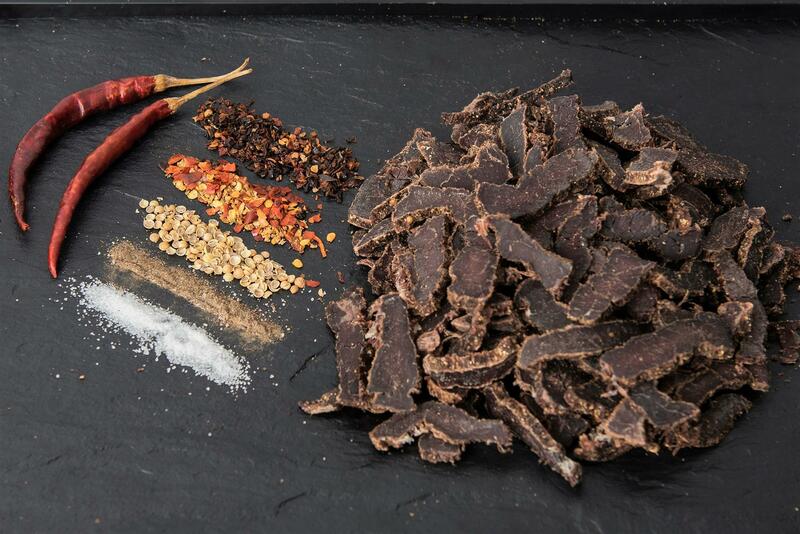 Our Smoked Chipotle Sliced Biltong is totally lean with no fat and will have a Medium to Medium Well consistency. 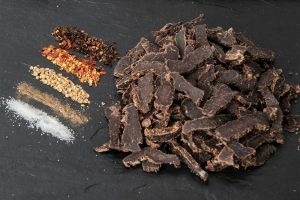 Premium Topside Beef (100%), malt vinegar (BARLEY), worcester sauce (BARLEY, FISH), sea salt, brown sugar, black pepper, coriander, potassium sorbate, smoked chipotle & other spices.